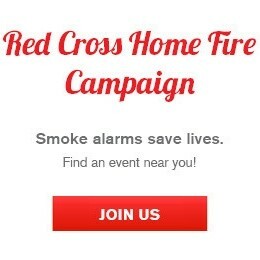 Thanks to the tireless work of our volunteers, employees, local fire departments and other partners in the Home Fire Campaign, today we celebrate 285 documented lives saved and more than 400,000 homes made safer as a result of this campaign—more progress toward our goal to reduce deaths and injuries due to home fire by 25 percent over the course of the campaign. 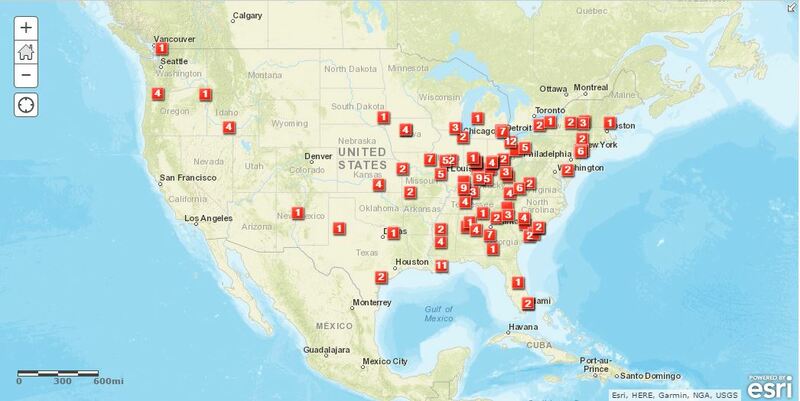 Lives saved due to the Red Cross Home Fire Campaign from Oct. 2014 to Oct. 2017. Detroit, MI: At 7 a.m. on August 11, 2017, a resident was alerted to a home fire by the sounding of smoke alarms and smoke. She evacuated herself as well as six other family members, who range in age from just three weeks old to 16 years old. Three smoke alarms were installed, a home fire safety checklist was reviewed as well as the tornado and flood safety checklists during an in-home visit that was completed on March 7, 2017, in collaboration with AmeriCorps. Miamisburg, OH: At 5:48 a.m. on September 6, 2017, smoke alarms sounded in both units of a duplex, which alerted two families to a growing home fire, enabling all six residents – including three children – to escape safely. Three new smoke alarms were installed in each of the units, home fire escape plans were created, and home fire safety and thunderstorm safety checklists were reviewed during two in-home visits that were completed on August 19, 2017. Jackson, MS: On September 3, 2017, smoke alarms sounded alerting a family of four to a fire in the washroom enabling them to evacuate quickly and meet at their safe meeting place. Three new smoke alarms were installed, a home fire escape plan was created, and a home fire safety checklist was reviewed as well as the flood safety checklist during an in-home visit that was completed on April 9, 2016, in collaboration with the Jackson Fire Department. We thank everyone involved in our quest to help make our neighbors safe. If you would like more information on the Home Fire Campaign please click here.